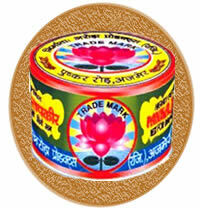 We are a leading manufacturer of Snuff Tobacco (also known as tapkeer in India). Snuff is a fine-grain tobacco that often comes in teabag-like pouches that users "pinch" or "dip" hits the nose with a sharp burst that lasts about one second.. Then it quiets down and is very pleasant; mild clove/tobacco aroma, not sneezes, well-behaved, no need to blow the nose, clears the sinuses nicely, average nicotine. Snuff is finely ground tobacco that, when in dry form, is sniffed up the nose. It is more popular in European countries than in the US. Snuff is also available in wet form. 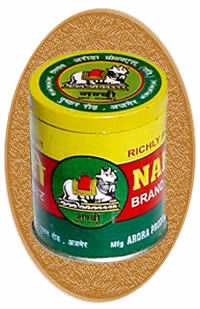 Nasal snuff is a finely ground, flavored tobacco, taken in the non-offensive form of a simple sniff into the nostrils. 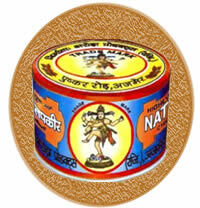 Snuff began as the tobacco choice of royalty and the elite in 17th century Europe, before being provided to the masses. Still popular in Europe today, snuff is now gaining popularity in the America because snuff is becoming so popular, many have questioned its health issues. Many specialists feel that, for health reasons, if you are going to use tobacco, you are better off with a smokeless tobacco, like nasal snuff. It is one way to give up most dangerous and expensive cigarettes. 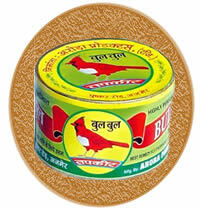 Nasal snuff is made with a wide variety of flavors. The most popular use of snuff is to take just a pinch between you thumb and forefinger and sniff it lightly into the nose. 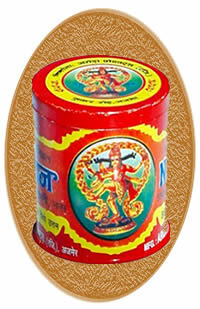 This provides a pleasant aroma, lasting 15-20 minutes, as well as a noticeable nicotine lift. Many pipe smokers have also taken to the old English act of adding a sprinkle of their favorite snuff into their burning bowl of pipe tobacco for an added aroma, taste, and nicotine boost. It is one of the less expensive and easiest way to have pure tobacco without more side effects. 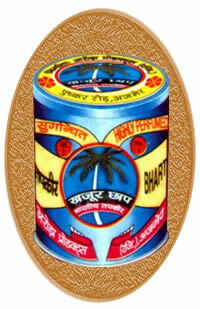 Our products are prepared using the hygienic conditions. Prices offered by us too are very reasonable. Statutory Warning : TOBACCO IS INJURIOUS TO HEALTH. NOT FOR MINORS.